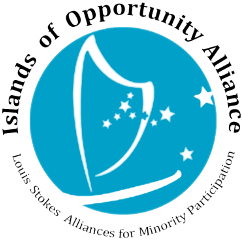 Over the summer 2018 period IOA-LSAMP had the pleasure of funding numerous students in their research endeavors. Here are some images that highlight their valuable work and experiences. UHH graduate student Dominique Zarders in the lab conducting DNA extractions and polymerase chain reactions. 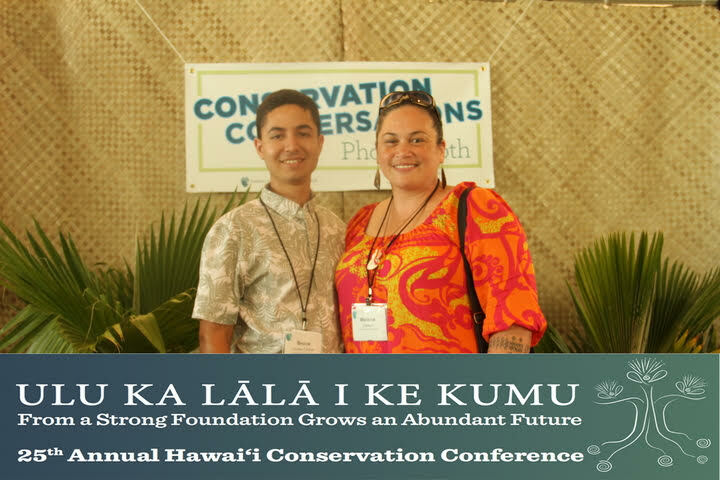 Keaholoa students Bruce Torres-Fischer (L) and Leilani DeMello (R) in attendance at the 2018 Hawai‘i Conservation Conference. Jason Henson and Charlie Tommy (far right) conducted agroforestry fieldwork with mentor Dr. Ryan Perroy of UH Hilo's Geography Department (center). Here they are with a drone they used to collect data on coconut stands on Arno Island, Marshall Islands. UH Hilo student Tema‘u Teikitekahioho-Wolff analyzing data collected during his internship with Dr. John Burns (UH Hilo Marine Science Department) to create 3D reconstructions of coral reef ecosystems in Hawai‘i. Jasmine Hicking conducted research that investigates the healing properties of indigenous medicinal plants on her home island of Majuro, Marshall Islands. Left to right: Jasmine Hicking and Mr. Fereti Sefeti, 2018.